Not bad! Played a show last night which was fun! Question: "Not really my cup of tea (it's hard to make something you're not in to...)" you think it is unfair saying that this is noticeable by using reaper? I think that an essential part of making something is using it, so that's not unfair to say. Whether or not it's true (or at least, whether other people qualified to judge that would agree) is another question. Question: How many kilometres can you run per day? The most I've run in a week is about 65km, the most in a day 42km (or 52km of walking+running on the great saunter).. Most days I run around 5-10km. Question: Did you ever try to do electronic music with reaper? i mean: Drum and bass, trance, techno, house, chill? Question: What is your opinion on Haiku (BeOS) ? I haven't used it, how's the hardware support? 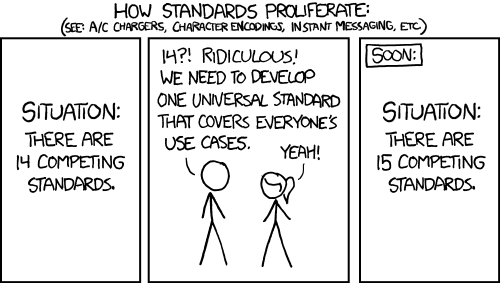 Question: Do you think creating a new plugin standard that is open source a good and/or feasible idea? Being at the mercy of steinberg, apple or avid in perpetuity seems like a bad idea. Question: This [redacted] guy is extremely annoying and really hard to read his posts. I hope you're not taking him seriously. There are a lot of people on the internet who one has to ignore. The other day I learned that if I were a better musician I would somehow make better DAW design decisions. Who knew? Question: What is your philosophy on Vacationing? How often do you take one? What do you like do on them? What kinds of places do you like to go to? Hmm not sure if I have a philosophy. I like to go to the beach, or hiking, or to visit friends, I guess? Question: How often do you find yourself using recursion? Did you find it to be a difficult concept when first starting and do you still? Question: Nerdiest thing you enjoyed as a teenager you're willing to admit outside of computers .. I dunno, just general nerdiness of self I guess? Hah, can't say I much do? Question: What kind of security measures would you recommend the average developer implement on a macos based machine? How much would you think would be overkill? Hmm for general desktop environment? I guess don't run sketchy things, and run behind NAT?